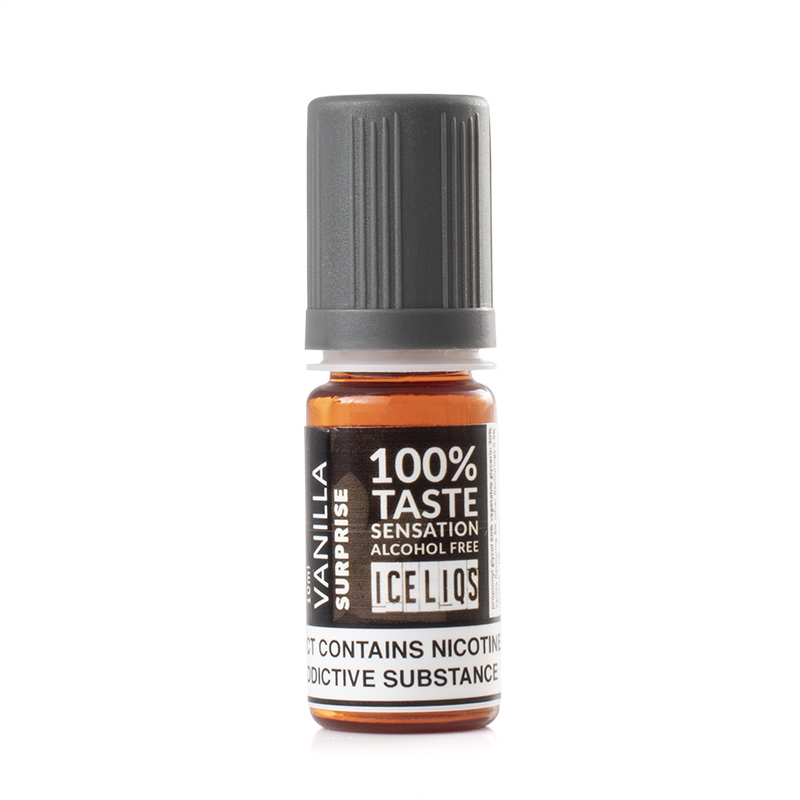 The Iceliqs Originals Vanilla Surprise E-Liquid is a 10ml bottle of e-liquid, designed to provide pure vanilla flavour great for everyday vaping. Formulated by Iceliqs in the UK and made from scratch in France to EU quality, the Vanilla Surprise E-Liquid has been designed to be as safe and as user-friendly as possible, With a child-proof cap, a touch-triangle for visually impaired users and a best-by date on each bottle, Iceliqs' e-liquids can be enjoyed safely and conveniently. The Vanilla Surprise flavouring is designed to mimic the taste sensations of real vanilla, making for a smooth all-day vaping experience.